The Hornsby Shire Council Section 7.11 Development Contributions Plan 2014 - 2024 came into force on 3 December 2015. The S7.11 Plan applies to all new residential and commercial development including subdivision, new dwellings, seniors housing (excluding residential care facilities), retail premises, business and office premises. The Plan applies to residential accommodation which includes attached dwellings, dual occupancies, and secondary dwellings (granny flats). 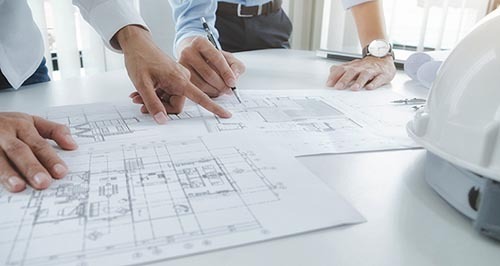 The S94A Plan applies to additions and alterations to residential development, alterations to commercial development, industrial development, residential care facilities and any other development. Please note that the draft Hornsby Section 7.12 Development Contributions Plan 2019-2029 is currently on public exhibition until 5pm on Monday 6 May 2019. You may view the draft Contributions Plan and provide feedback at Council’s ‘Have Your Say’ page. In 2005 the NSW Government changed the laws governing developer contributions, allowing for planning agreements to be entered into. Hornsby Shire Council has adopted a policy on planning agreements, which allows Council to enter into a voluntary agreement with a developer to make contributions for a public purpose. These contributions may be instead of, or in conjunction with, Section 7.11 development contributions. Any agreement Council proposes to enter into, and the public purposes to be funded or provided, will be exhibited for public comment. DA/1398/2011 - 12 and 12B Surrey Street, EPPING - VPA - $63,384 - offset for endangered native vegetation removal.